The Energy and Resources Group is delighted to present Thomas Lovejoy as speaker for the 25th Annual Lecture on Energy and Environment. Thomas Lovejoy is an innovative and accomplished conservation biologist who coined the term “biological diversity”. He serves as Senior Fellow at the United Nations Foundation. In 2010 he was elected University Professor in the Department of Environmental Science and Policy at George Mason University. He served as President of the Heinz Center for Science, Economics, and the Environment from 2002-2008 and was the Biodiversity Chair of the Center from 2008-2013. 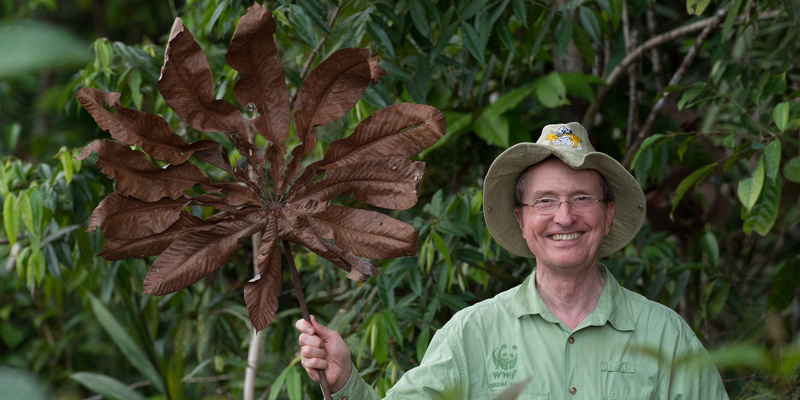 Before assuming this position, Lovejoy was the World Bank’s Chief Biodiversity Advisor and Lead Specialist for Environment for Latin America and the Caribbean as well as Senior Advisor to the President of the United Nations Foundation. Spanning the political spectrum, Lovejoy has served on science and environmental councils under the Reagan, Bush, and Clinton administrations. At the core of these many influential positions are Lovejoy’s seminal ideas, which have formed and strengthened the field of conservation biology. He was the first to use the term “biological diversity” in 1980. In the 1980s, he brought international attention to the world’s tropical rainforests, and in particular, the Brazilian Amazon, where he has worked since 1965. In 1980 he produced the first projection of global extinctions for the Global 2000 Report to the President. Lovejoy also developed the now ubiquitous “debt-for-nature” swap programs and led the Minimum Critical Size of Ecosystems project. With two co-edited books (1992 and 2005), he is credited with founding the field of climate change biology. He and Lee Hannah are working on a new book on climate change and biodiversity for Yale University Press. He also founded the series Nature, the popular long-term series on public television. In 2001, Lovejoy was awarded the prestigious Tyler Prize for Environmental Achievement. In 2009 he was the winner of BBVA Foundation Frontiers of Knowledge Award in the Ecology and Conservation Biology Category. In 2009 he was appointed Conservation Fellow by the National Geographic. In 2012 he was recognized by the Blue Planet Prize. From 2008-2013 he chaired the Scientific and Technical Panel (STAP) for the Global Environment Facility (GEF) which provides funding to developing countries to meet their obligations related to the international environmental conventions. From 2013 he has served as Senior Advisor to the Chair of STAP. He is currently serving as Science Envoy for the Department of State. Lovejoy holds B.S. and Ph.D (biology) degrees from Yale University.